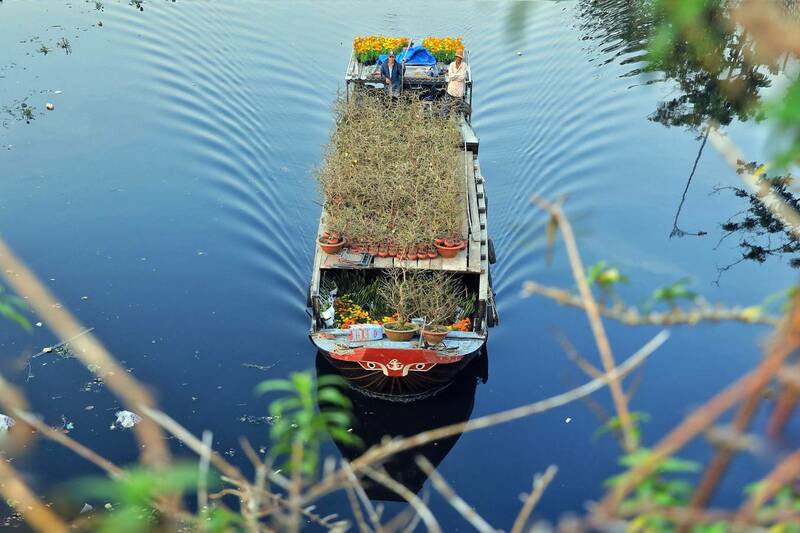 Many boats filled with flowers and flowering plants from Mekong Delta provinces such as Ben Tre, Tien Giang and Dong Thap crowd the canals in Saigon, catering to the huge demand for home decorations during the Tet holiday. 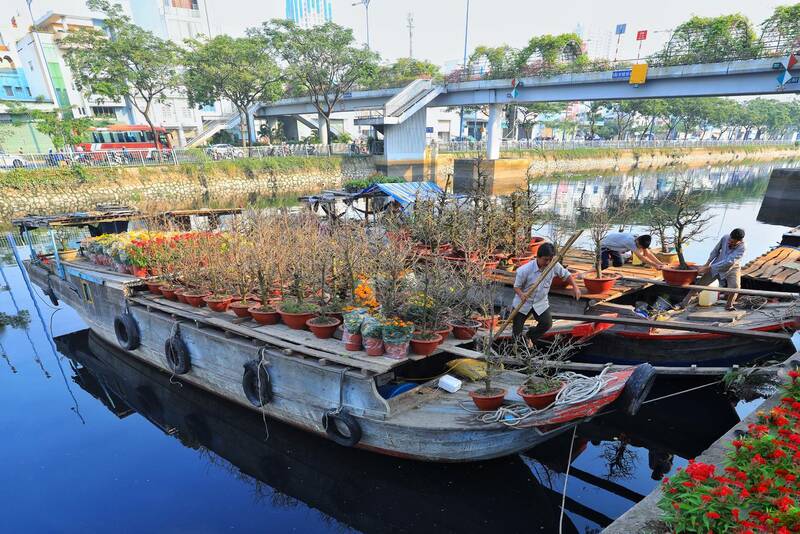 Nguyen Van Sau, a flower seller on a boat, said: "Every year on 20th day of the last lunar month, I have plants and flowers loaded onto the boat, and go to Binh Dong Wharf (District 8, HCMC). I sell these until the last day of the old Lunar New Year and return home to celebrate the New Year with my family. I hope this year I can sell everything soon and return early." Tu Ke and his brother, both from Ben Tre Province, transfer a pot of yellow Mai flowers (Ochna integerrima), the traditional New Year flower in southern Vietnam, from boat onto land for sale. This is the seventh year in a row that he is doing this for Tet. 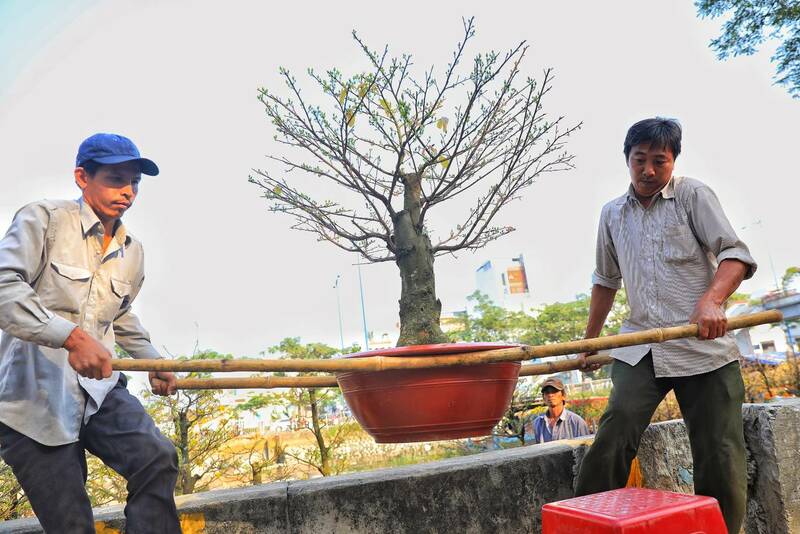 "My garden has more than 100 original yellow Mai trees, this year every tree has a nice bud, each tree costs from VND10 - 20 million ($431 - 861)," Ke said. The boats are carrying many varieties of flowers in bloom, including Tagetes, Celosia and Chrysanthemum morifolium. 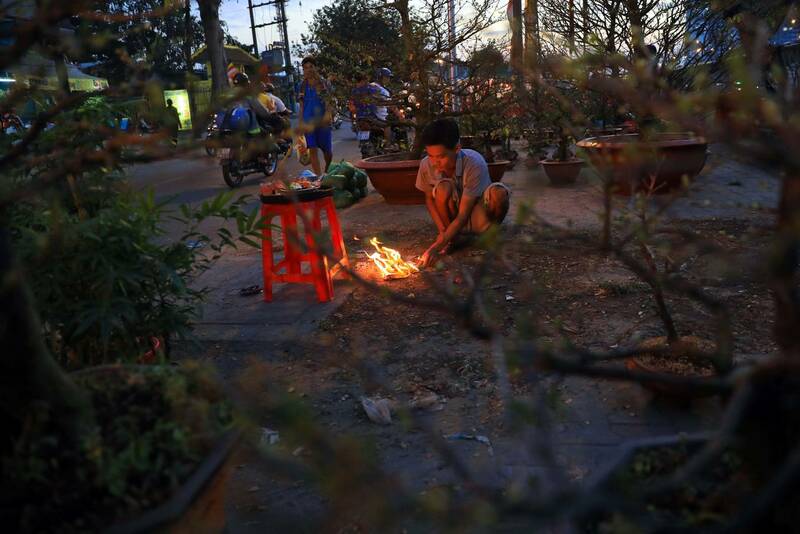 Each flower pot costs between VND150,000 and 300,000 ($6.5 - 13). 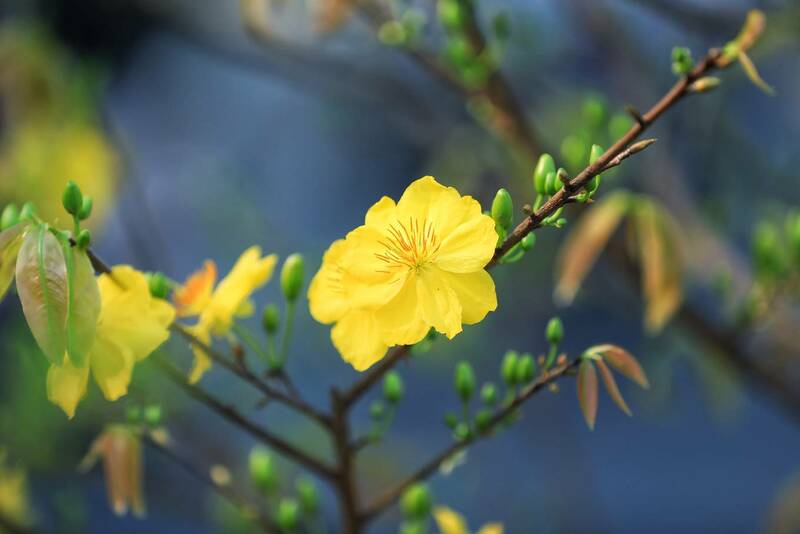 The owners of yellow Mai in the Mekong Delta are very excited this year because the weather has been sunny and favorable, so the plants have many buds for the flowers to bloom right on the festival days. 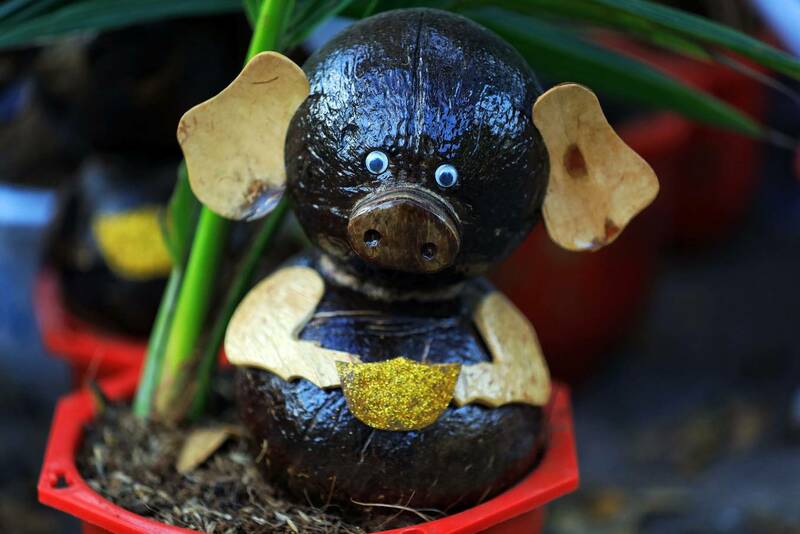 Besides flowers, this year bonsai coconut palms with shells made into pigs, the zodiac animal of this Lunar New Year, are sought by many customers. Each such pot costs VND300,000 ($13). 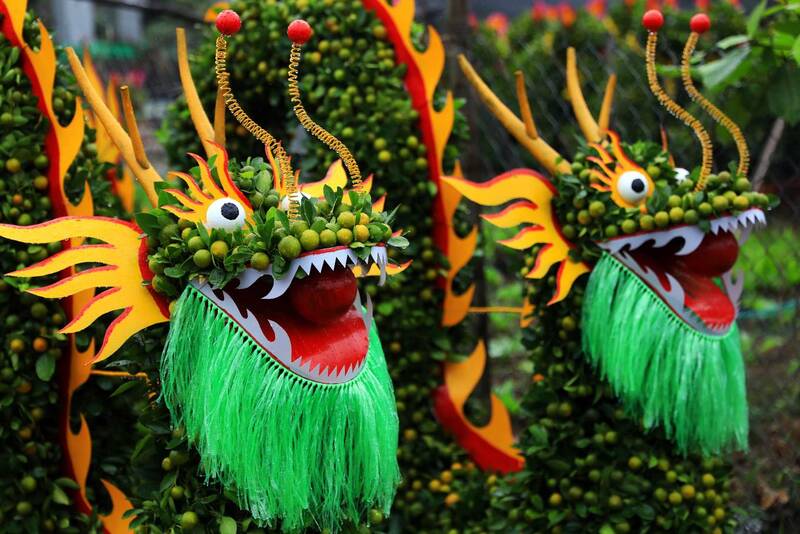 These kumquat trees shaped like dragons have been meticulously crafted. These eye-catching plants cost more than VND5 million ($215) each. 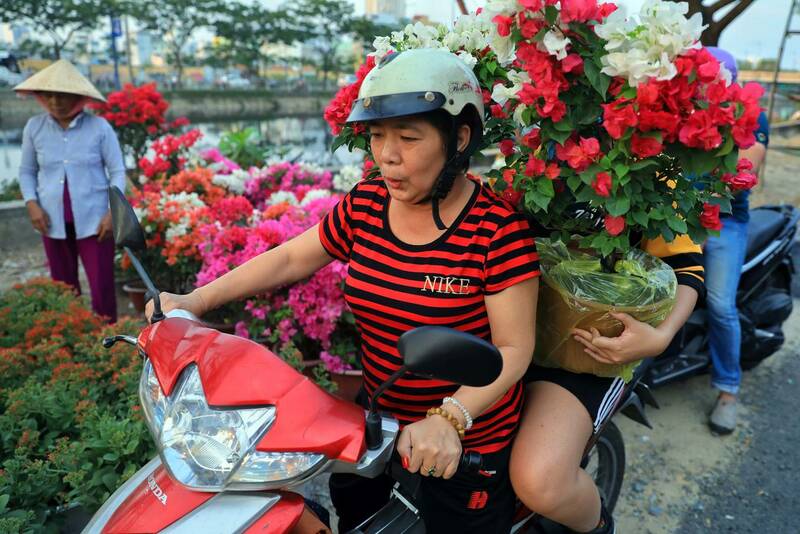 Ly Thi Hoa, resident in District 8, bought a pair of bougainvillea plants for VND400,000 ($17). 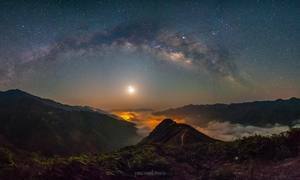 "This year, the bougainvillea is beautiful, the price is not very high. I went to buy early, because I am afraid the flowers might lose their beauty later," she said. 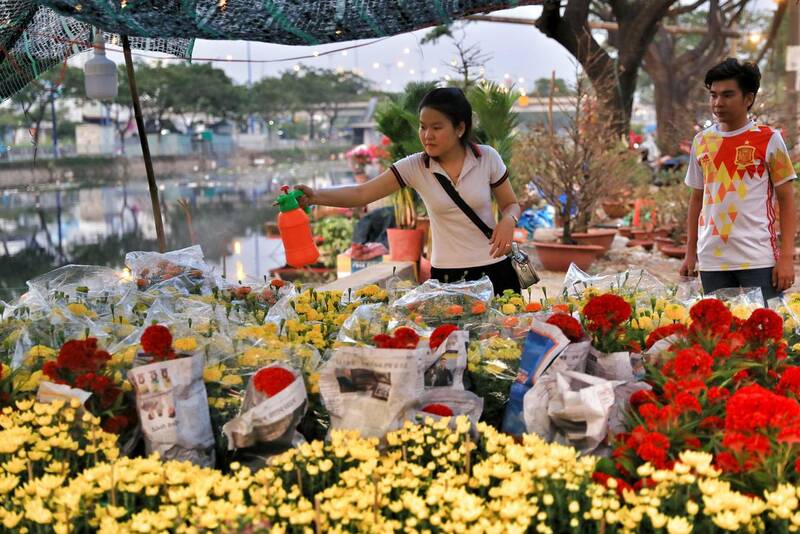 To have a place to sell his flowers, Nguyen Van Dong rented a land plot for VND5 million ($215). 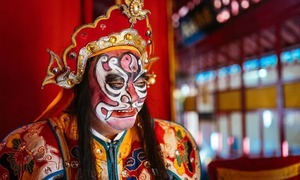 As soon as he docked his boat at the Binh Dong wharf, he lit some incense. 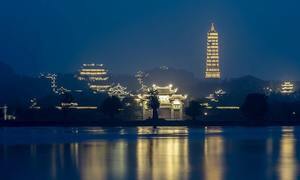 "May the Buddha, the delties and my ancestors help me to sell well this year. All the assets of the family have been invested into this year's flowers," he prayed. 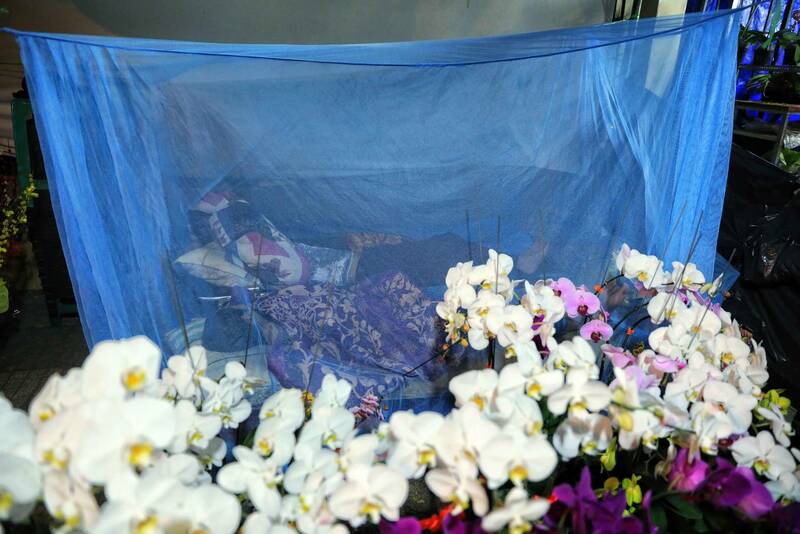 At night, in the cold weather, the garden owners slept outdoors with mosquito nets to look after the flowers and prevent theft. 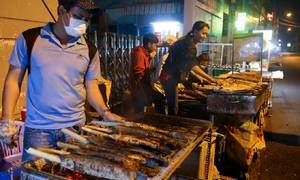 For more than a week, they have had to eat and sleep here to sell the flowering plants.